The United States may still choose to press charges against the American soldier released this week from Taliban custody after five years in captivity, the chairman of the Joint Chiefs of Staff said Tuesday. At the center of the debate is whether Sgt. Bowe Bergdahl, 28, deserted the US Army before he was captured in Afghanistan in 2009 and held by the Taliban up until Saturday, when the White House agreed to release five prisoners long held at the Guantanamo Bay detention facility in exchange for his freedom. Former colleagues of Bergdahl have said in the days since that the soldier talked openly about leaving the Army ahead of his disappearance, and believe he had willingly deserted the service when he was caught in 2009. According to some, no fewer than six US troops died in the days after Bergdahl’s disappearance as a result of search efforts aimed at recovering the missing soldier. As RT reported earlier this week, some of those soldiers who’ve put the blame on Bergdahl are hoping the Pentagon opens a probe into the matter. “The questions about this particular soldier’s conduct are separate from our effort to recover any US service member in enemy captivity,” Gen. Martin Dempsey, the chairman of the Joint Chiefs of Staff, told reporters on Tuesday. “This was likely the last, best opportunity to free him,” he said, according to Politico. Nevertheless, Dempsey did acknowledge that the Pentagon has no plans at this point to promote Bergdahl any further. The Army awarded him the rank of sergeant during his disappearance, and typically continues to promote soldiers held in captivity. During Tuesday’s interview, however, the chairman said “his status has now changed, and therefore the requirements for promotion are more consistent with normal duty status." 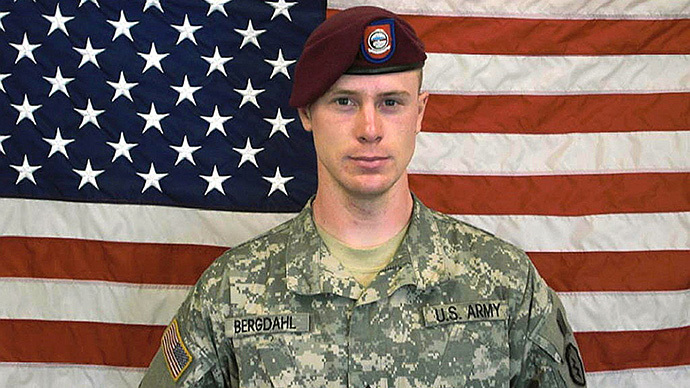 Bergdahl was serving as a private first class in Sharana, Afghanistan when he was reported missing in June 2009. 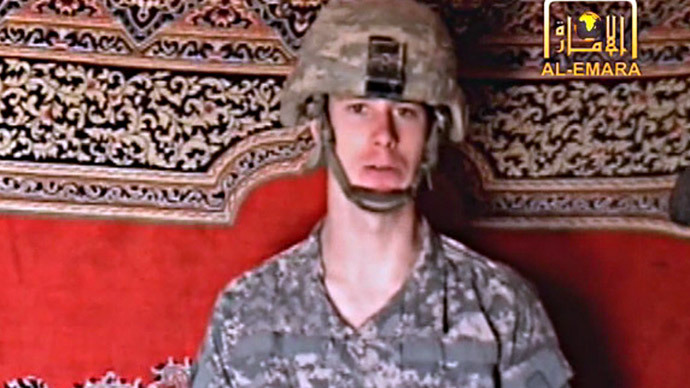 According to Bethea, the Army asked soldiers familiar with the matter to not discuss Bergdahl’s disappearance during the last half-decade in an effort to avoid bringing additional harm to the soldier. He was released from Taliban custody on Saturday and is currently being evaluated at a medical facility in Germany. Meanwhile, Sgt. Evan Buetow, leader of Bergdahl’s unit, told CNN on Tuesday that the captured sergeant offered the Taliban intelligence to ultimately target and kill American soldiers. Buetow said he heard “radio chatter” from the Taliban that an American was looking for them. 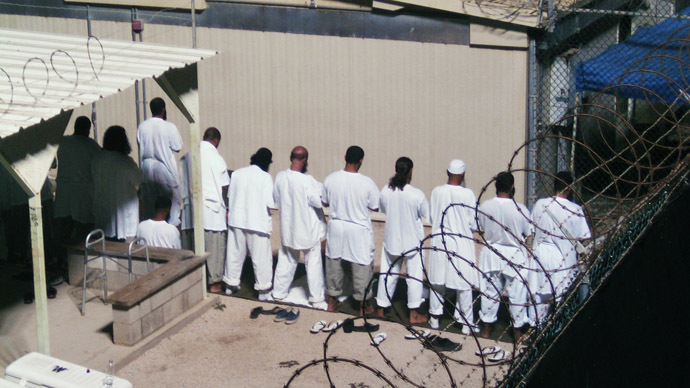 The allegation is not yet proven, and, even if true, the shared information could have been given under duress or as a result of punitive interrogation. 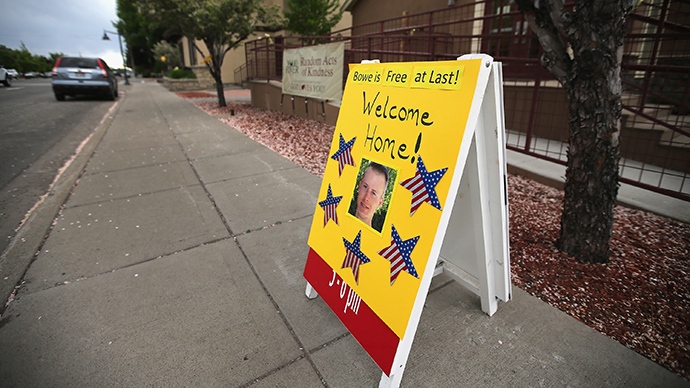 Bergdahl is currently undergoing medical examinations in Germany before he returns to the US. “With respect to the circumstances of Sgt. 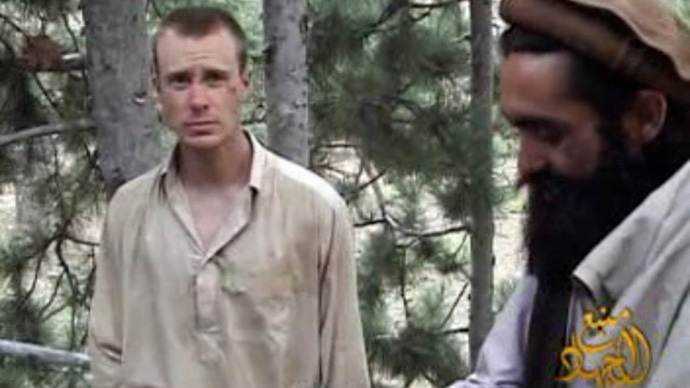 Bergdahl's capture by the Taliban, we obviously have not been interrogating Sgt. 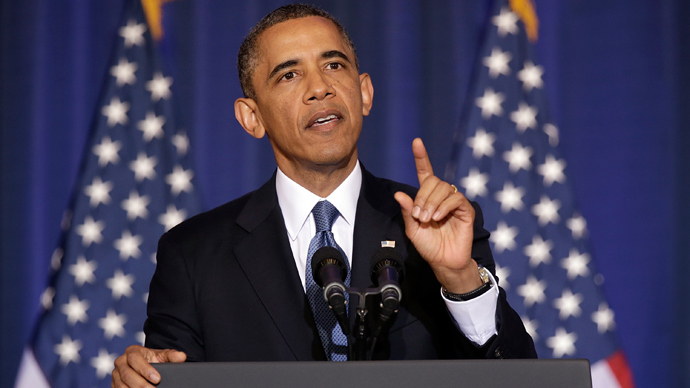 Bergdahl,” US President Barack Obama said on Monday. “He has been recovering from five years of captivity with the Taliban. He’s having to undergo a whole battery of tests and he is going to have to undergo a significant transition back into life. He has not even met with his family yet, which indicates I think the degree to which we take this transition process seriously." “Regardless of the circumstances, whatever those circumstances may turn out to be, we still get an American soldier back if he’s held in captivity. Period. Full stop. We don’t condition that,” Pres. Obama added during an address in Warsaw, Poland on Tuesday.